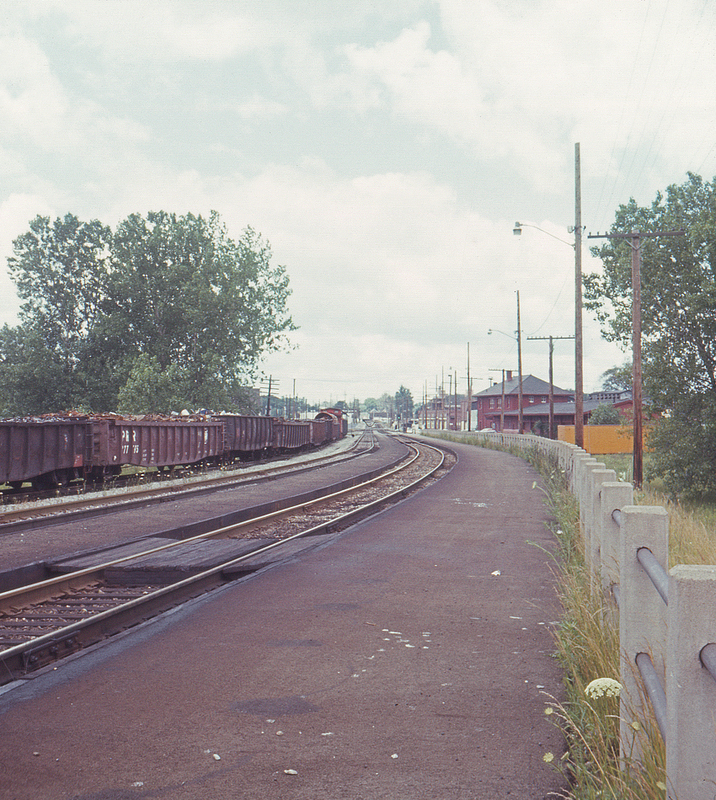 The Erie station at Warren, Ohio was always a busy place in the early 1970's, before the coming of Conrail. Between the Erie Lackawanna's many through freights and the short way freights on both the Erie and the Baltimore & Ohio serving the nearby steel mills, there was rarely a quiet moment for long. Here a B&O way freight with a load of scrap steel lumbers past the station, shortly to reverse and back down the connection to the mills to the south, while a green block signal announces the imminent arrival of a westbound on the former Erie main. The red building at right is the Erie's freight station, which also served double duty as a passenger station when the original wood station building was demolished as part of a track relocation. The Erie used to use semaphores here, but they were apparently replaced with color light signals at the time of the relocation.